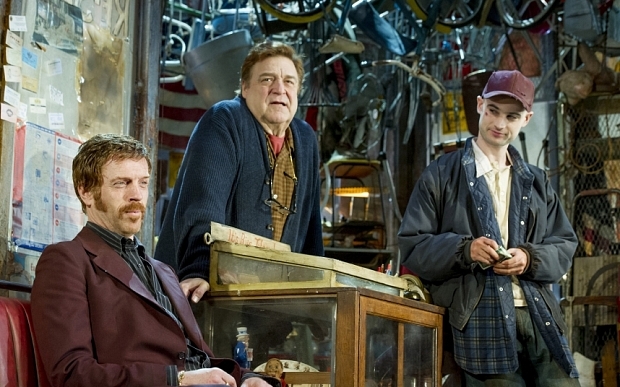 My tickets were booked for this as soon as Damian Lewis signed on as the star and I could not believe my luck when John Goodman and Tom Sturridge were announced as his co-stars. That’s what I call an A-list line-up! And while they were amazing, the play itself was not great. I don’t always love a period drama but this adaptation of Thomas Hardy’s 1874 novel feels so contemporary with its strong, complex female character Bathsheba Everdene (Carey Mulligan), who inherits a farm in a man’s world and is asked for her hand in marriage by three very different suitors – a sheep farmer (Matthias Shoenaerts), her wealthy neighbour (Michael Sheen) and a soldier (Tom Sturridge) – but who will she pick? This real-life story is so very, very bleak, dismal and centres on a love triangle storyline that has been tried and tested many times. Dakota Fanning does a wonderful job in the role but I just wanted more – it was too meandering and not enough passion or hate or any type of wild emotion. It was just all too reserved and repressed for my liking, which is in keeping with the era but still not an awful lot of fun! 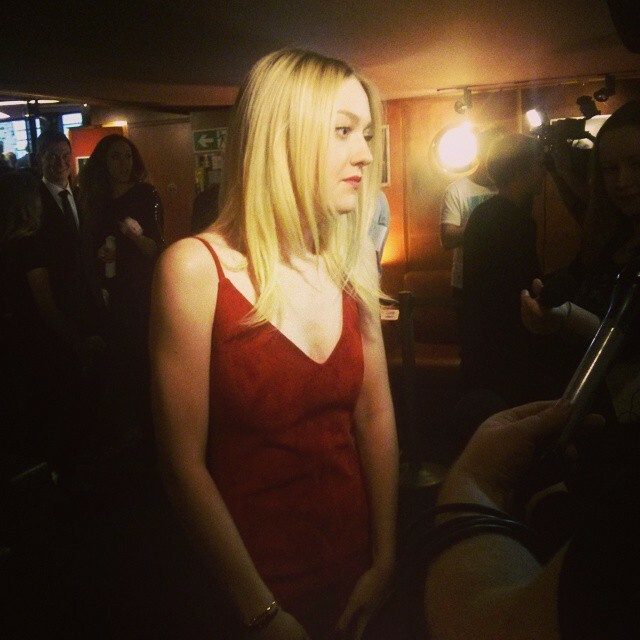 On Sunday night, Dakota Fanning was in London for the world premiere of her new movie Effie Gray. She plays the title character in this true story set in the Victorian period – she marries John Ruskin (Greg Wise), a man much older than her and totally emotionless and she suffers in this loveless marriage until she meets painter John Everett Millais (Tom Sturridge) and realises how different her life could be. The film is Emma Thompson’s first original screenplay and the project was held up for years due to copyright infringement claims but it is now set for released on 10th October in the U.K. It currently has no release date in the U.S. I was very gutted that Emma didn’t show because I absolutely love her but Tom made up for that by bringing his fiancee Sienna Miller. She didn’t do any interviews and he turned up very late so I didn’t get chance to chat with them. 1. Sienna Miller gave birth to her daughter Marlow at the weekend. The thirty-year-old actress has not revealed any other details regarding the birth. It is her first child. She is engaged to actor Tom Sturridge. 2. Kourtney Kardashian gave birth to Penelope Scotland Disick yesterday with her boyfriend of five years, Scott Disick. The reality star already has a two-year-old son Mason. 3. It is rumoured that Lily Allen (now named Lily Cooper) is pregnant with her second child. She gave birth to her daughter, Ethel May, with her husband Sam Cooper. Nothing has been confirmed or denied but it is thought the pregnancy wasn’t planned. 4. Harper Seven Beckham has been named most stylish celeb baby in a survey by My1styears.com. She beat Blue Ivy Carter and Suri Cruise. It’s not much of a surprise really considering Victoria is a fashion designer! 4. Check out the first glimpse of Samuel Affleck! We’ve seen Jennifer Garner out with a covered basket and pram but this is the first time we’ve seen him properly. Samuel is Jennifer and Ben Affleck’s first son after two daughters- Violet, 7, and Seraphina, 3. Samuel was born in February. 5. And another first glimpse…of Alyson Hannigan’s daughter Keeva Jane! The family had a day out in the park together and they look so damn cute! Keeva was born in May and is younger sister to three-year-old Satyana. You can also see Keeva cuddling up to Alyson’s husband Alexis Denisof.